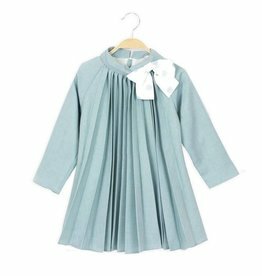 Younger girls mint dress by Dadati. 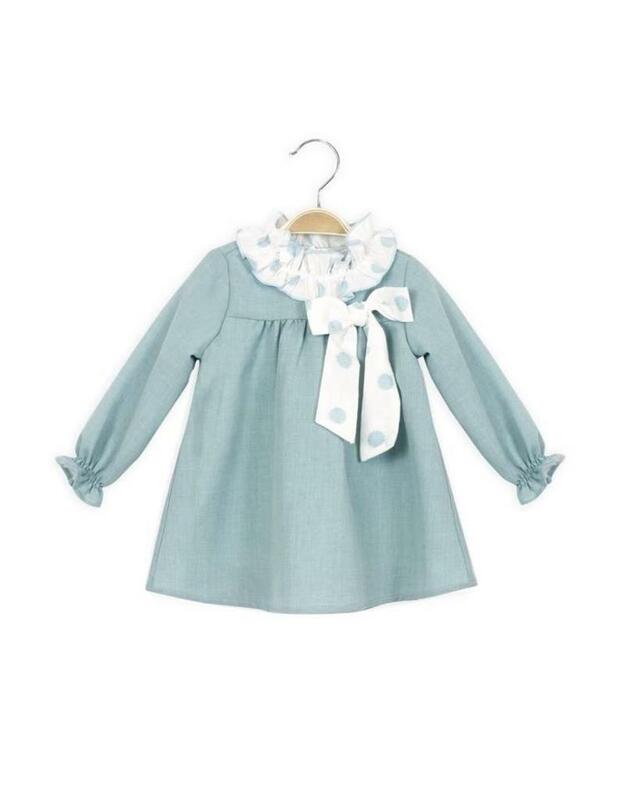 This soft flowing dress has a white ruffled collar with dots and matching large bow, gathered ruffled cuffs and is fully lined with lightweight cotton. Girls adorable dress with a peacock blue leaf print from Fina Ejerique. 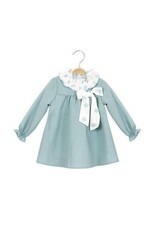 It has pretty ruffles over the shoulders, darker shade bow, button fastening at the back and is fully lined for comfort. This grey and white dress by Dadati has a herringbone chevron pattern with mauve and rust stitching, velvet rust bow, white frilled collar, elasticated cuffs and white faux fur trim around the ruffled hem. 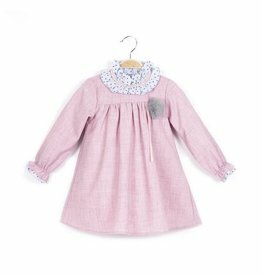 Younger girls dusty pink dress by Dadati. This free flowing dress has a grey polka dot ruffled collar and cuffs, detachable grey pom pom and is fully lined.